I am so excited this week. 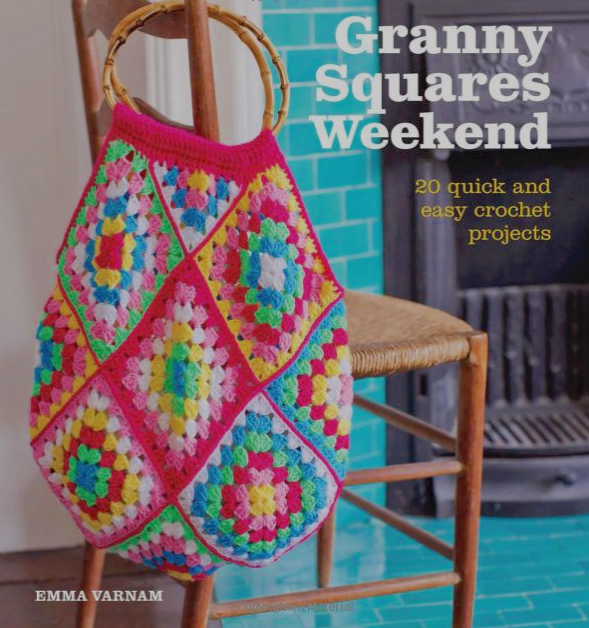 My new book Granny Squares Weekend is published. I am so thrilled with this book because it contains many of the projects that I love to make for myself and now I can provide them for you to recreate for yourself. Advance warning – I will be running a book give-away to blog readers! Stay tuned…. Congratulations on the new book! I’m definitely going to enter that competition, I really need a good granny square pattern. Now I just need to master treble crochet… I’m more comfortable with double crochet. I love the boho bag and also the sunglasses case. I love the book from what i can see of it. I love so many of the projects! The bag on the cover is my favourite though. Beautiful book.